ONE DAY SAILING CAMP. We have booked 3 days with Sail La Vie Sailing school to take our students on one day sailing trip on the Lake Ontario where we will have a unique opportunity to have a plein air session to capture the shores of our beautiful city, Toronto, right from the water. We will also stop at Centerville Island for picknick, more plein air and kids fun yoga class before we sail back to marina. We are covering 30% of the costs and we are sending one of our Instructors and providing all the supplies FREE of charge. Therefore we only have a limit of 18 (3X6) children between the ages 8-14. 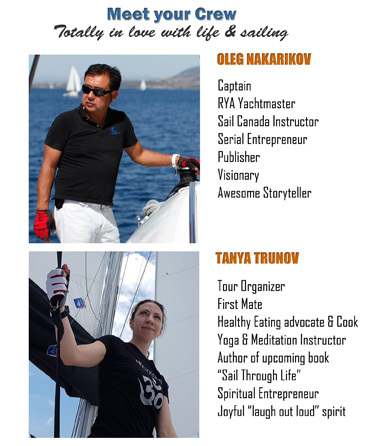 Our Director, Tanya Trunov, is also a certified skipper and yoga instructor, will be escorting children in this trip. It is 3 adults: 6 children ratio. It is easy to register through our internal registration system. Just follow the link below for more information and to register.